All we need is 10 stickers from 4 or more different traders during a 3 month promotion period. Fill in your name and contact details and hand your booklet in to Mel at The Greengrocer (Main Street). At the end of Feb/May/Aug/Nov. 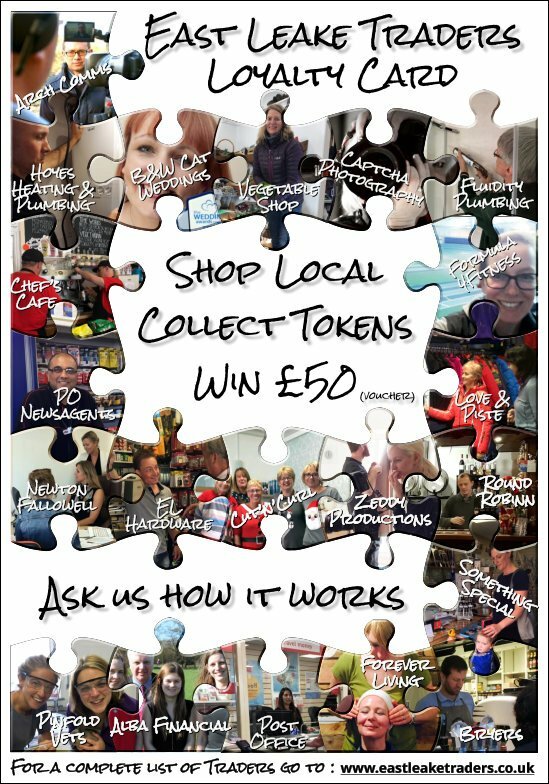 The lucky winner will receive their £50 worth of TRADERS' TOKENS to be spent at any one or several of our traders. Traders' Tokens are essentially a gift voucher redeemable at any Trader's business. Just like money but it has to be spent with us. Any Trader receiving vouchers should pass them to Cara for a full refund. Traders Tokens are only exchangeable for goods and not change will be given on any transaction.